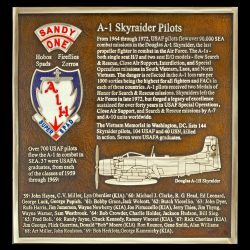 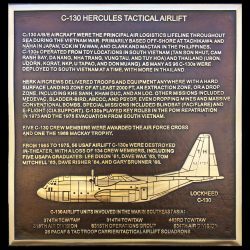 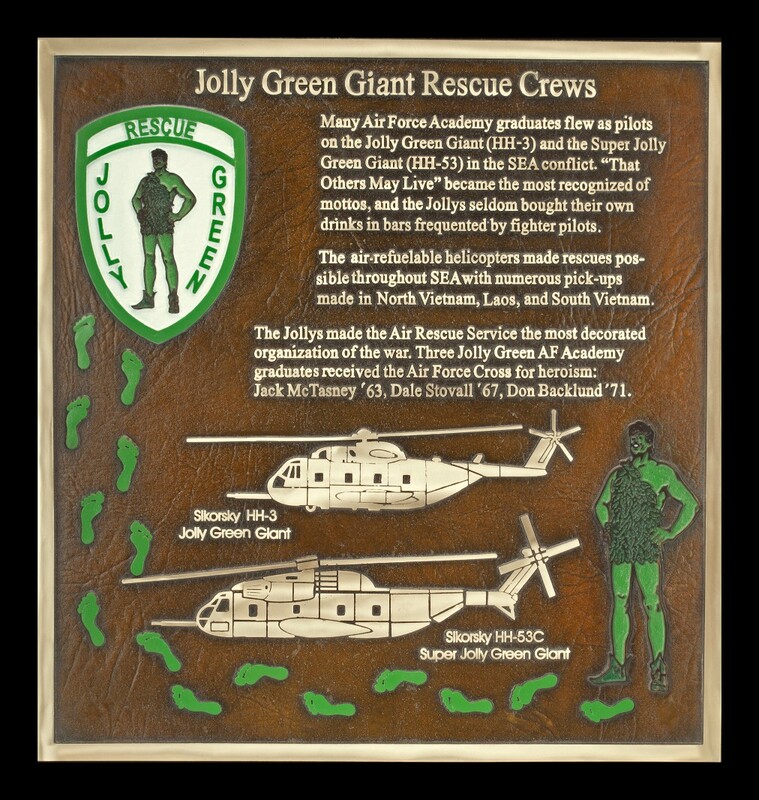 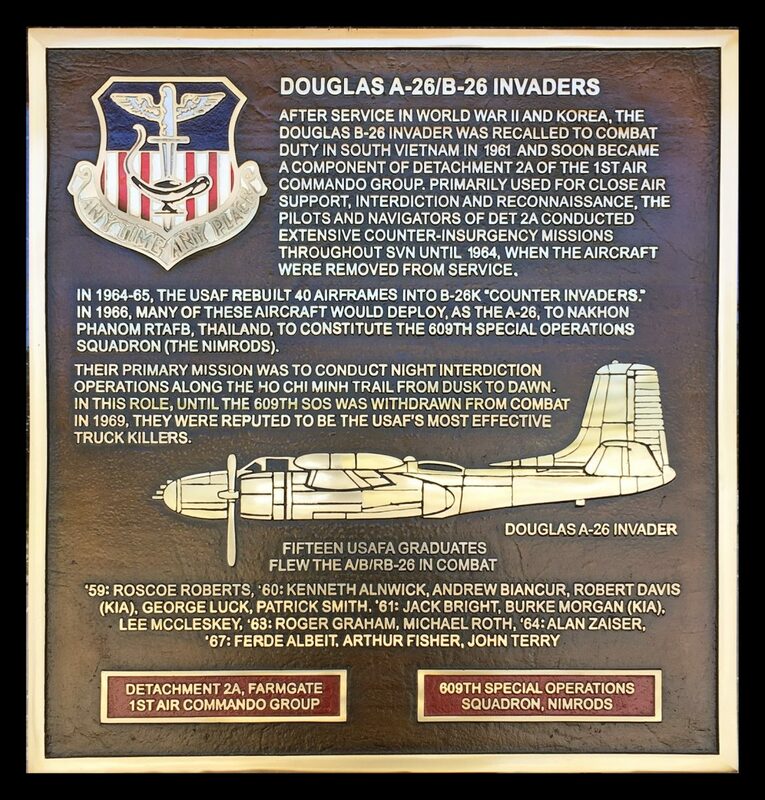 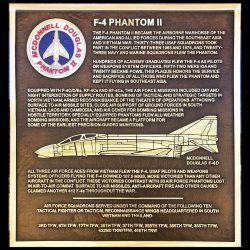 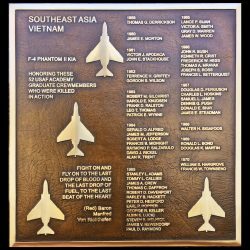 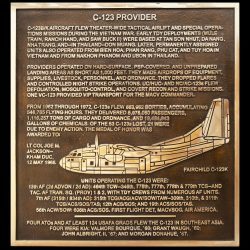 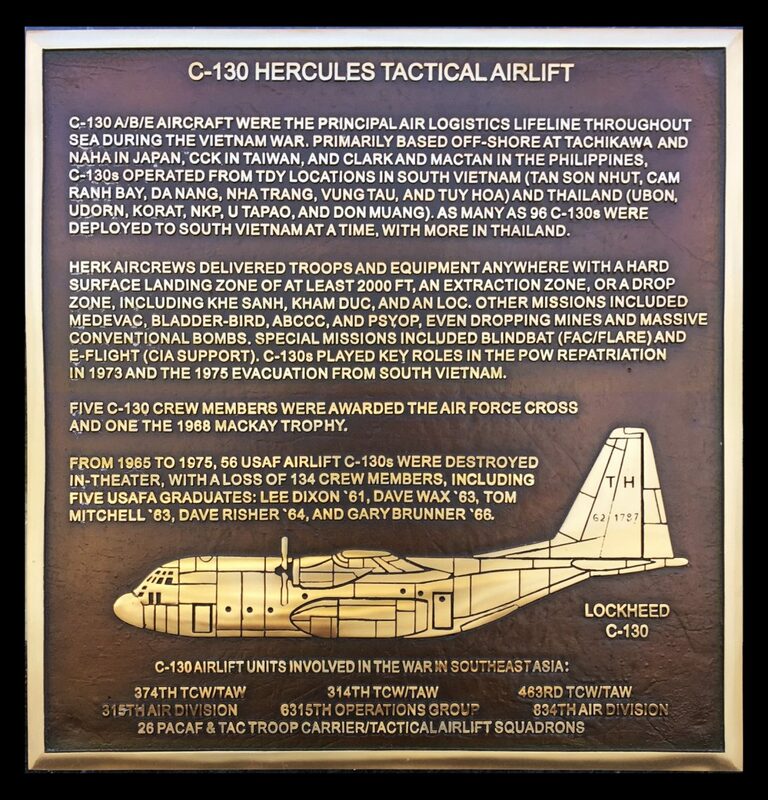 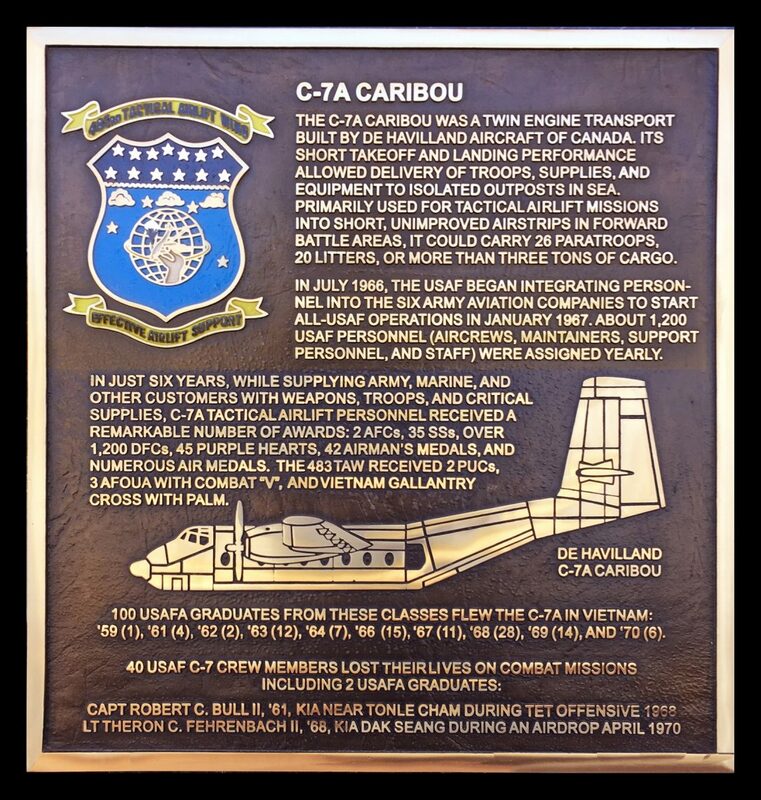 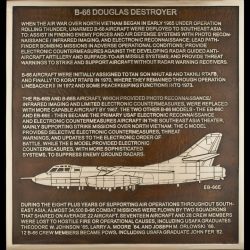 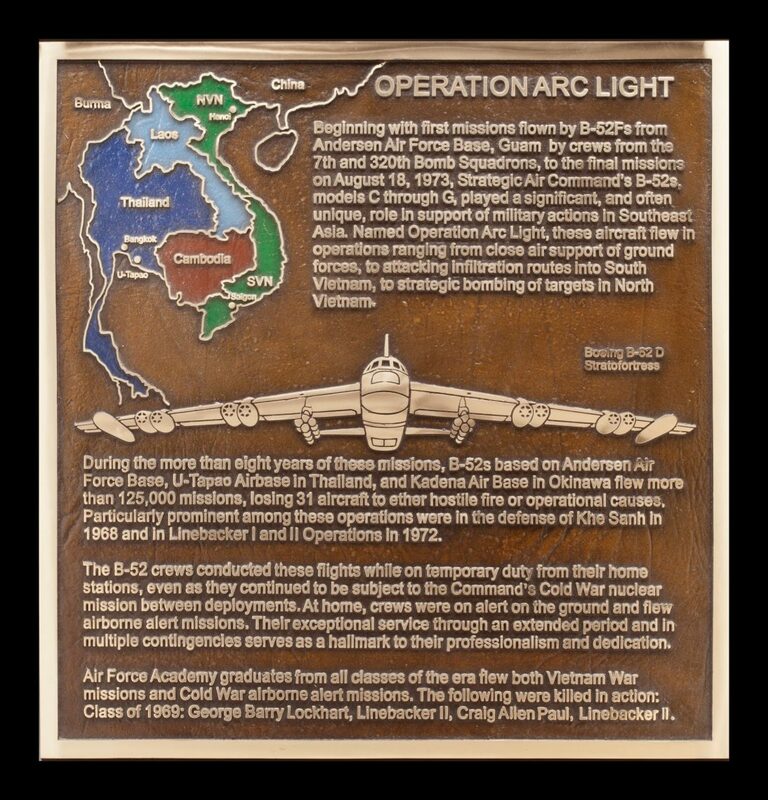 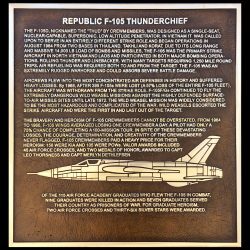 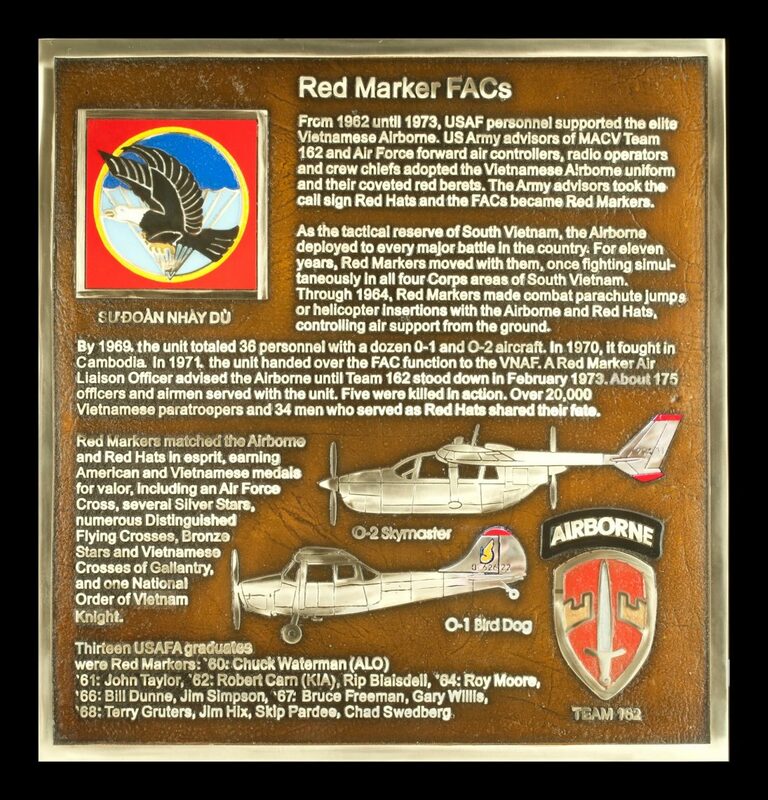 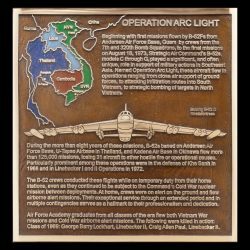 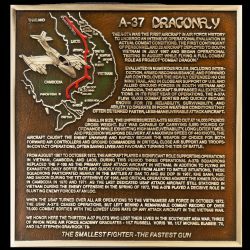 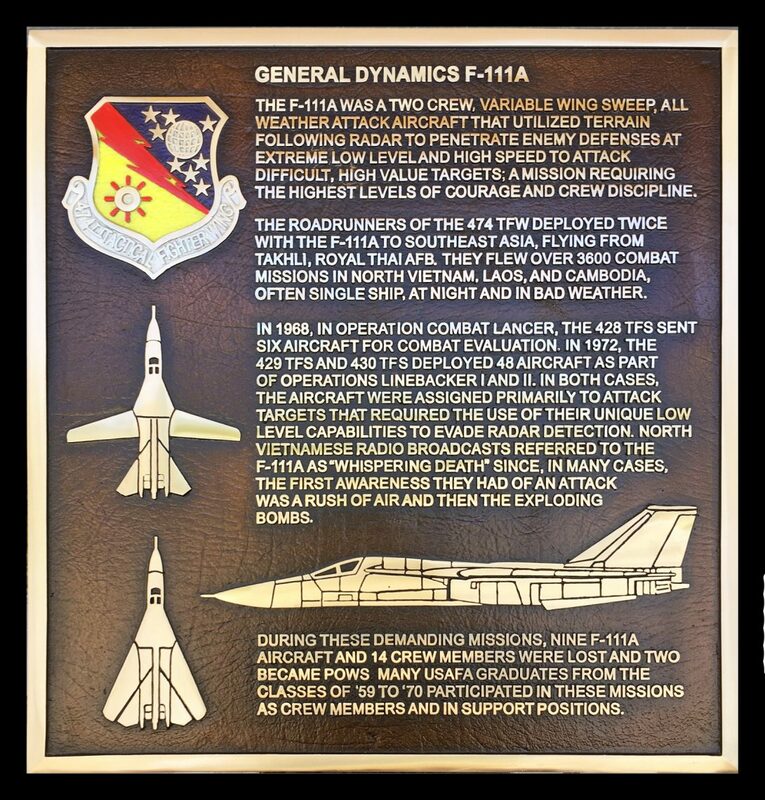 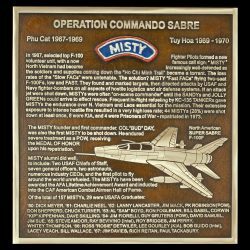 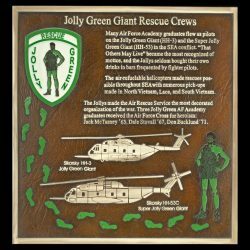 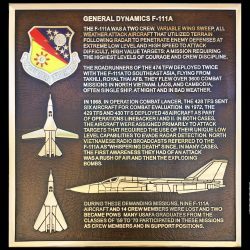 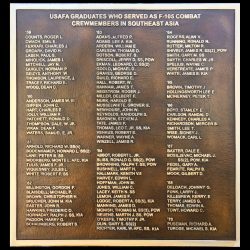 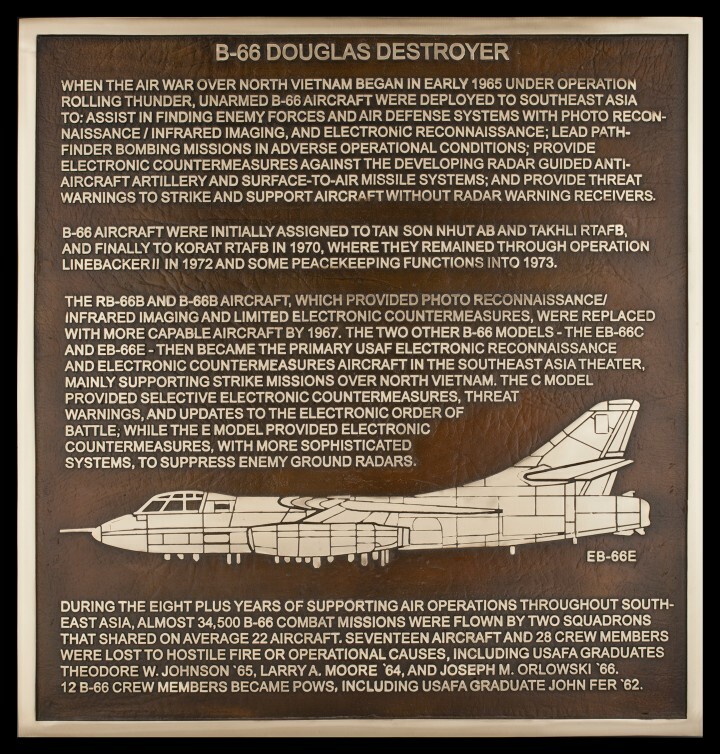 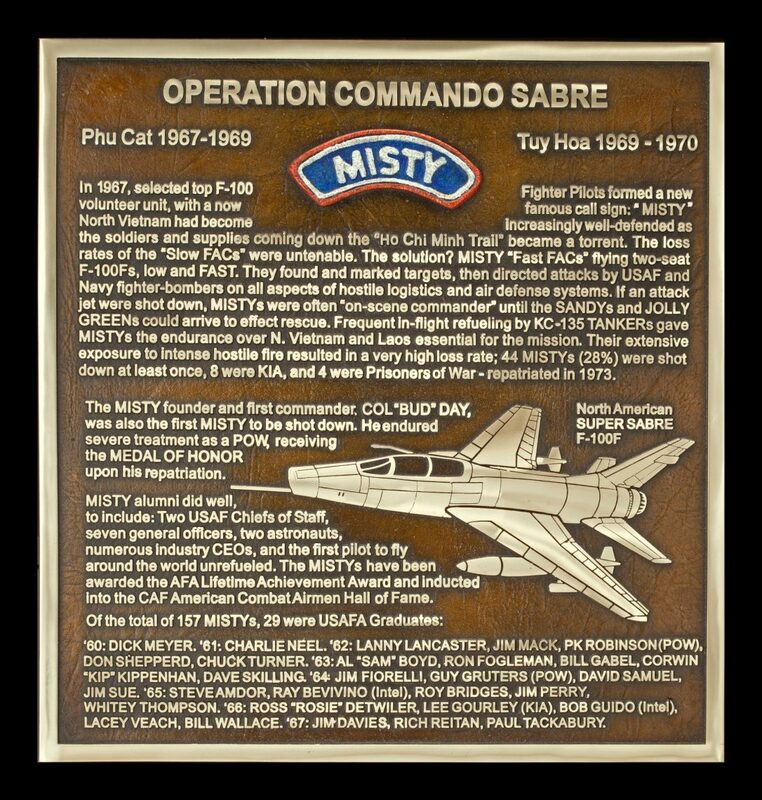 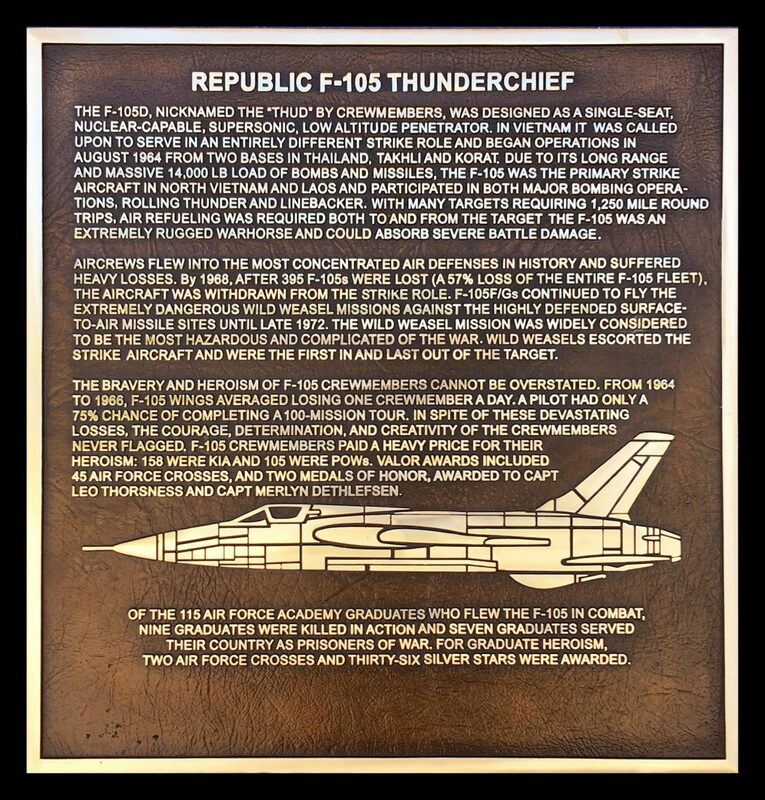 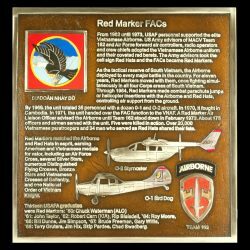 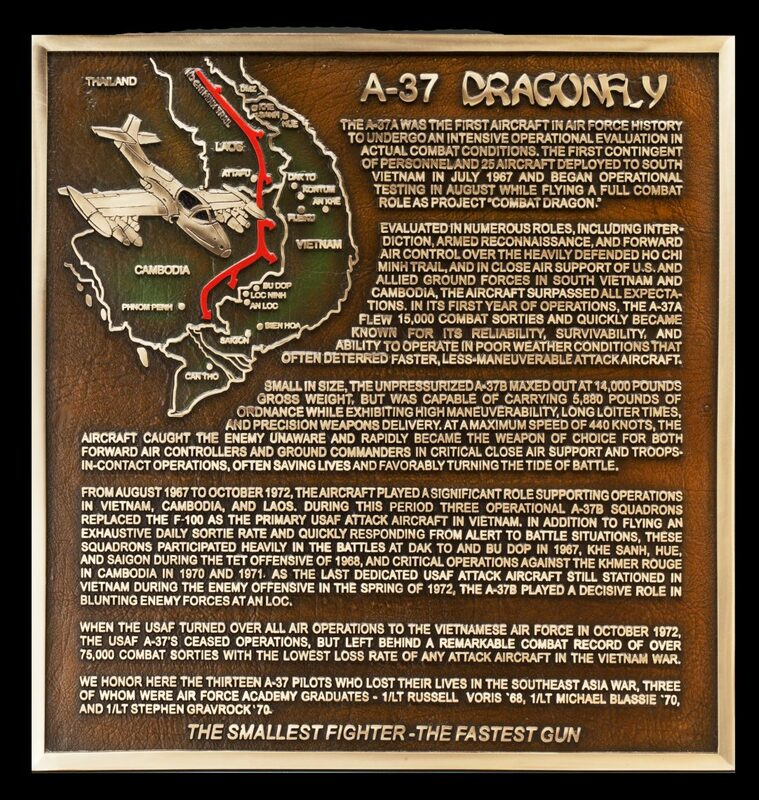 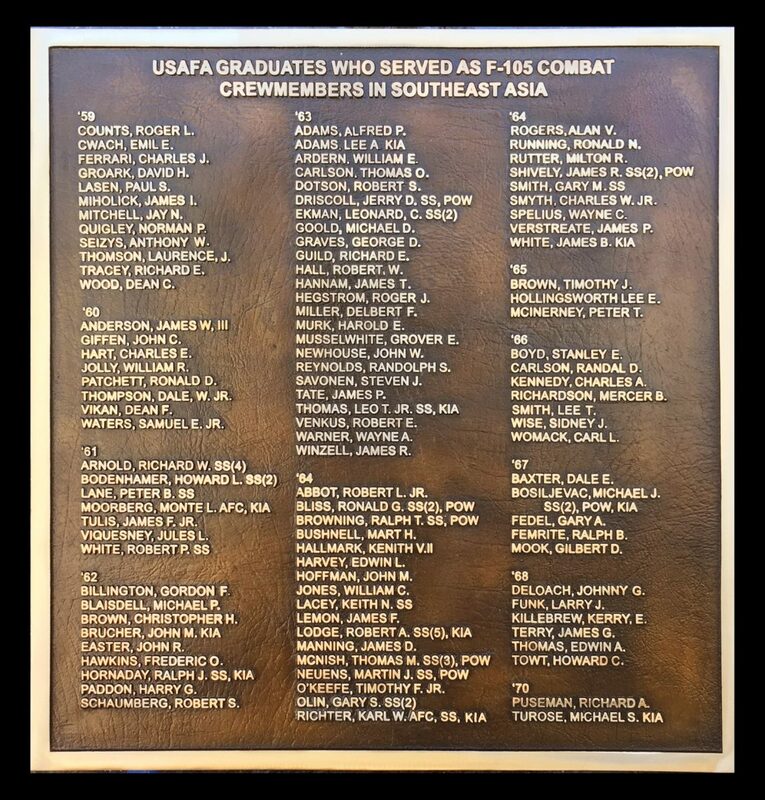 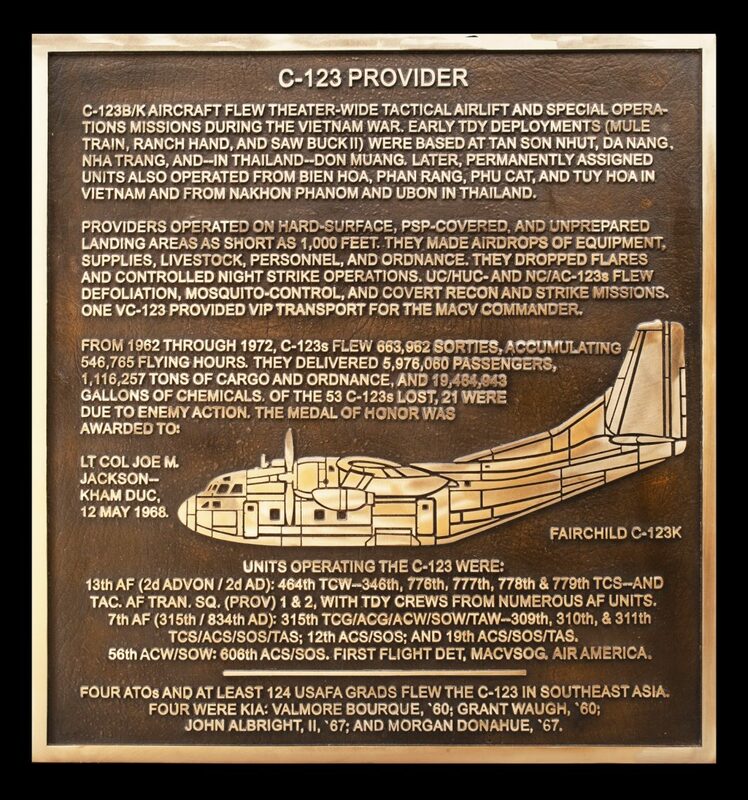 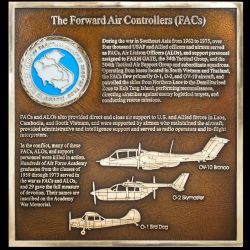 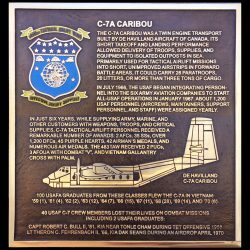 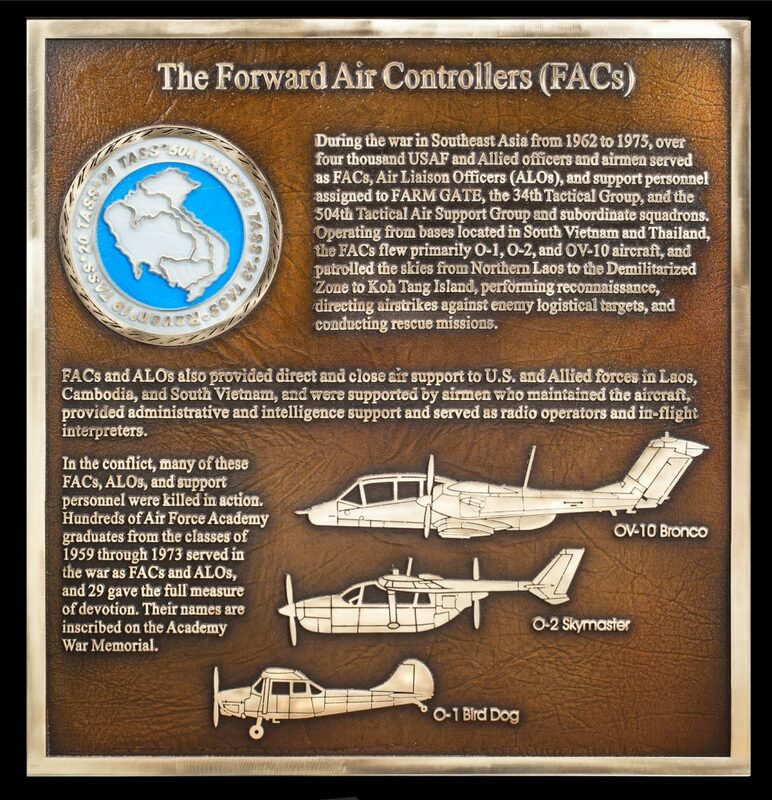 These 20 inch by 21 inch bronze plaques were designed and created by Sculptor James Nance, for the USAF Academy Vietnam Southeast Asia Pavilion. 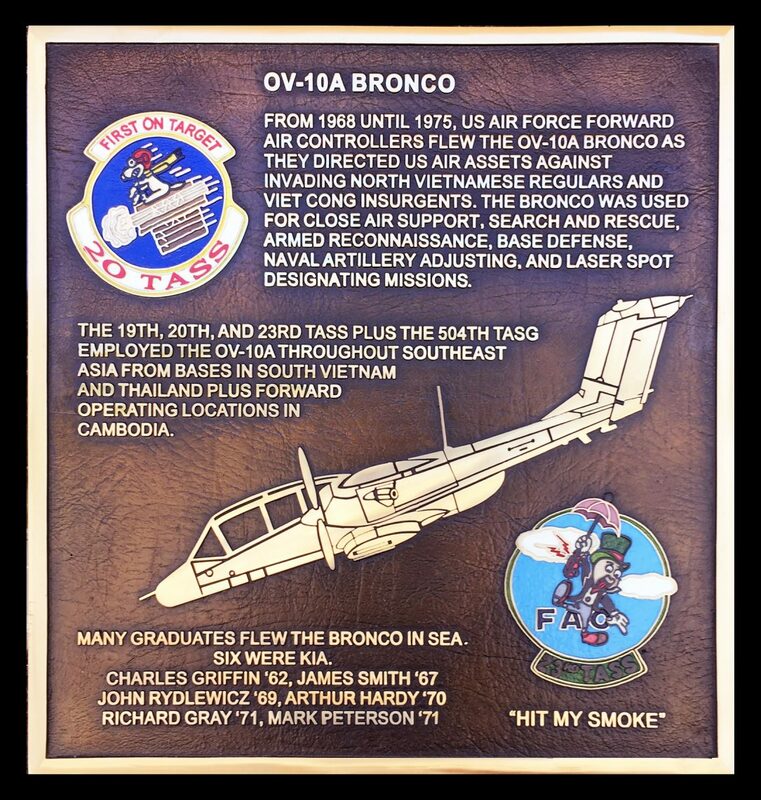 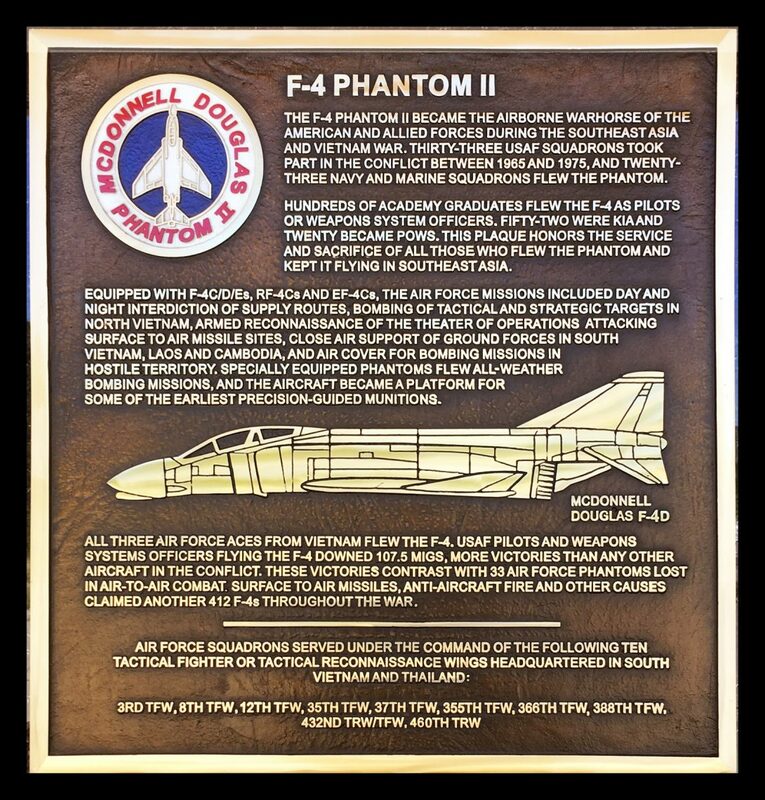 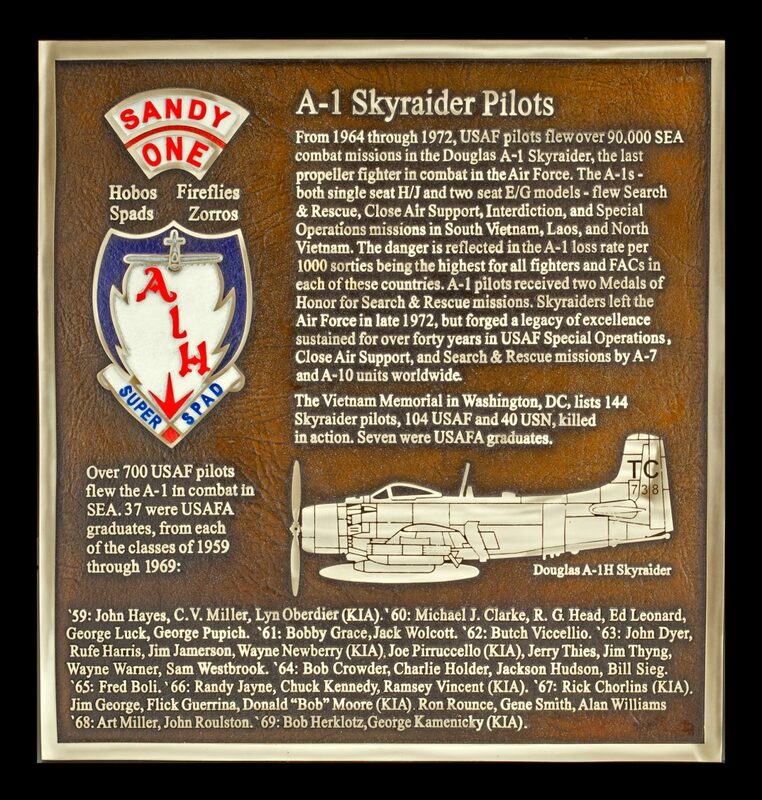 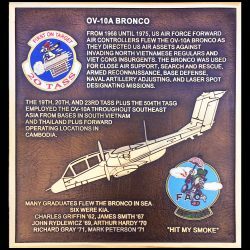 Interested groups of graduates who flew the same plane in Vietnam, commissioned the plaques through the Association of Graduates to commemorate their shared experience, mission, and pride of service. 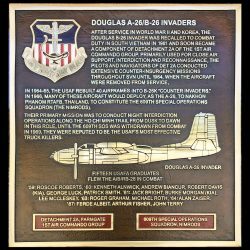 This is an ongoing project designed to leave their story for future generations. 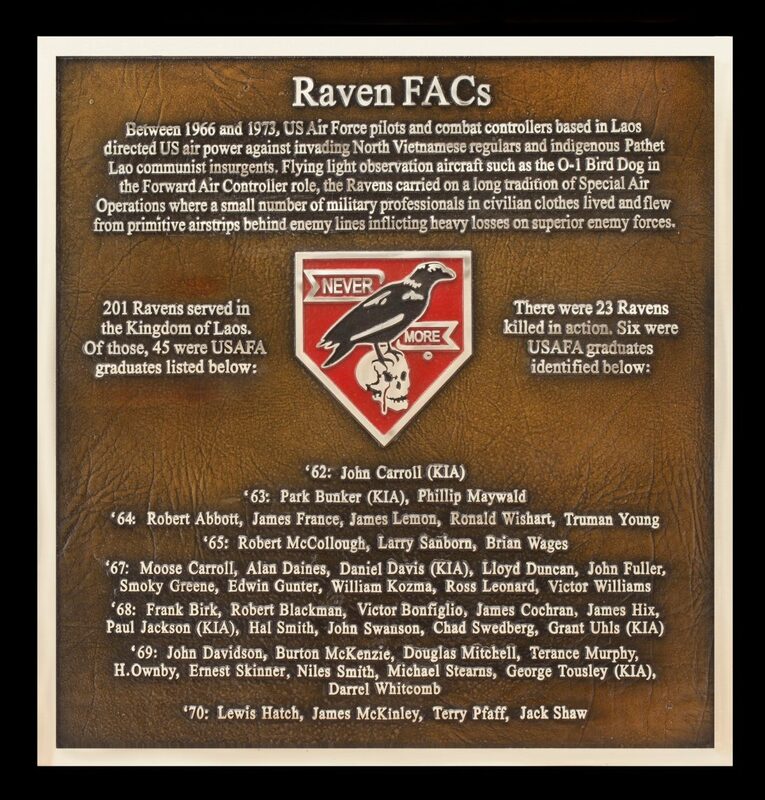 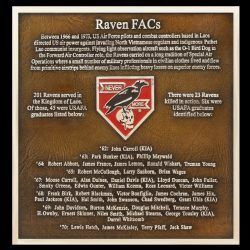 Raven, Forward Air Controllers who assisted ground forces by directing air strikes, Sculptor James Nance.